Guess what y'all? I got me some LASHES! & I LOVE them! I have to admit, I was terrified. Like, don't get me wrong.. I love a good glam look every now and then, but my day to day is pretty regular. During the week, I literally wear no makeup unless I have something extra to do besides work, and on the weekends.. Let's just say I love a simple makeup look that takes 10 minutes at the most. So needless to say the idea of getting false lashes freaked me out.. mainly because I didn't want to not look like me. 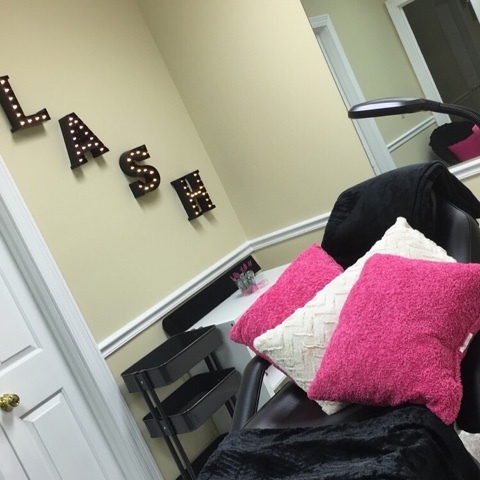 A good friend of mine started her own lash business about a year ago and I've been watching her work over social media and she has serious skills y'all! She had been trying to get me in to try some for the longest and I knew I wanted to try them, but I also didn't.. so I kept procrastinating. Like I said before, I was afraid of not looking like me anymore so I kept pushing it off. I think I have commitment issues when it comes to making drastic changes to my body. Do y'all know how long it took me to decide to color my hair the light brown color I had?! I contemplated for like a year before I got it and the day I went to the shop, I was hyperventilating waiting to see how it turned out, BUT.. I ended up loving it! For those who have no clue what I'm talking about, you can really see the color in my hair on this post from last summer. 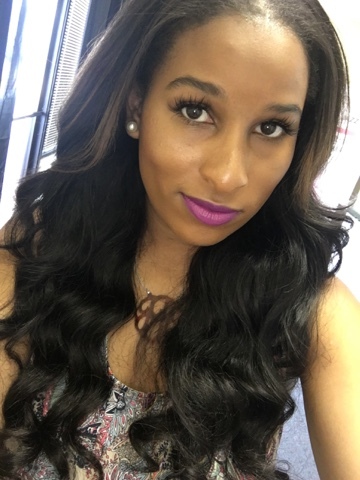 Anyway, I am SO GLAD I finally decided to try these lashes! 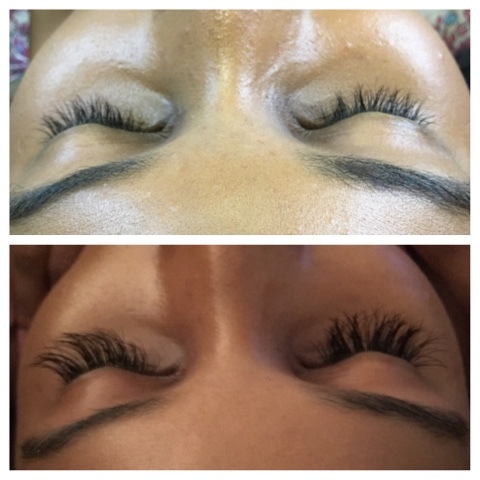 Jazmon, the owner of Lash Jazz and my good friend, did such an amazing job. The process took a little over an hour, but it was well worth it! She started out by asking me the desired look I was going for. Of course, I said I was looking for natural! Haha But she knew exactly what to do after taking a look at my already long, but lifeless lashes. The room she does the process in is so welcoming and homey, so I felt super comfortable right off the bat. 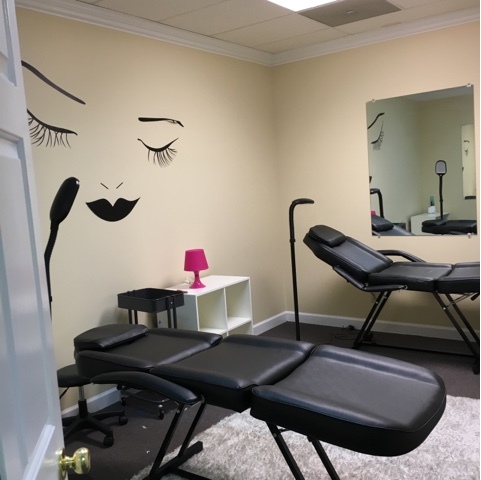 You have to keep your eyes closed for the whole time she's putting the lashes on, so it is a perfect opportunity for a nap if you so choose. You might as well because you'll be extra comfortable anyway! She took her time to make sure I looked and felt fabulous at the end of my visit. Check out my results! 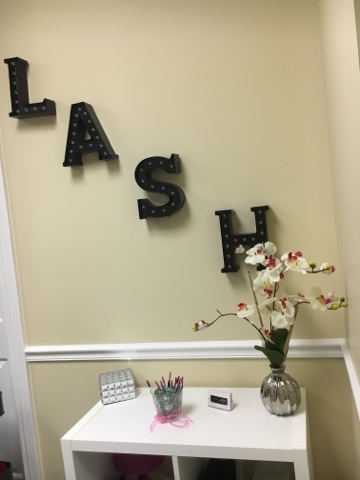 I HIGHLY recommend that if you're in the Nashville area and you are needing or wanting lashes, you should visit Lash Jazz. She will take GREAT care of you, as if you needed another reason to go.. her shop is so cute! 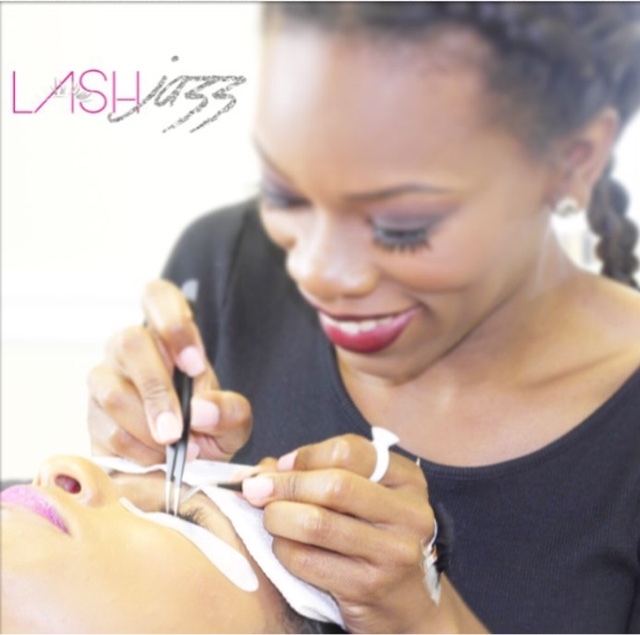 Visit her website here to schedule an appointment today and check her out on Instagram @lash.jazz! 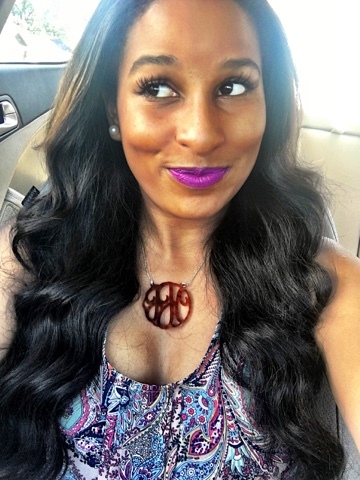 I'm so happy I stepped out of my comfort zone and added some pizazz to my every day look. I swear now I don't know how to act! 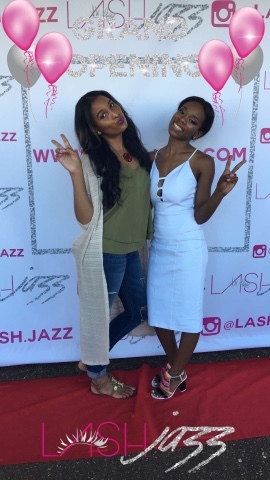 Me and Jazmon at her Lash Jazz Grand Opening!